Last time on Unsolved Archaeology, we introduced the Moai of Easter Island, or Rapa Nui, and talked about the history of Rapa Nui, and all of the theories about just how the islanders made these huge sculptures and how on earth they transported them from the volcano where they were quarried to the beaches where they stand today. Today, we’re going to finish up our series on the Moai of Rapa Nui by attempting to answer two questions: what the heck were they for? and, what happened to the people that made them? There aren’t any definitive answers to these questions, but here’s a few of the best theories. The Moai are definitely one of the most beautiful and mysterious monuments on planet Earth today. Thousands of theories have been concocted as to their purpose, from the worship of aliens, to much more plausible explanations. We’ll be covering two of them today. One popular explanation for why the Easter Island heads were carved has been put forth by many of the island’s researchers. They believe that each head represents a deceased head of an important clan on the island. It makes sense. The statues are huge and they would have had to been made by some organized effort on the islander’s part, probably at the direction of a leader. There’s 887 of them, and no two of them look exactly alike, so it’s possible that they represented someone specific. The younger ones have a topknot carved into the stone, representing the topknot of the clan chieftains, making this theory turn out to be very plausible indeed. Other archaeologists think that the statues were just symbols of religious authority and power– actual resources of spirit power. In ancient Polynesian religions, carved stone and wooden objects, when made right, could be given magical essence called “manna”. It’s possible the Moai were meant to be magical repositories, either to protect the island, or to be drawn on in times of need. What Happened to the Islanders? 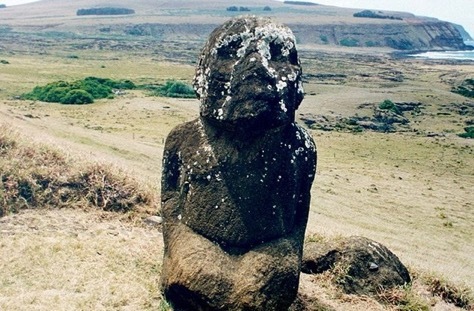 Sometime before the Dutch explorers arrived on Rapa Nui on Easter day, the Polynesian tribes who were responsible for creating the Moai died out. The entire culture just vanished off the face of the island. The question then remains… what on earth happened to them? Where did they go? Again, many people like to turn to the explanation of alien transport or abduction, but there’s definitely many more plausible theories out there. The most well-known theory about what happened to Rapa Nui’s civilization was that, well, the island’s natives simply ate themselves out of house and home, in a manner of speaking. It’s possible that they cleared large swaths of forest to make way for farmland, and, eventually the island just couldn’t support the population anymore. There’s been lots of support for this theory, but new evidence brings it into question: researchers have discovered that the islanders were very well-informed agricultural engineers. They even deliberately fertilized their soil with volcanic rock. So it may be unlikely that they managed to be that irresponsible with their resources. The same archaeologists who have questioned the theory of starvation have proposed their own theory as to why the island may have stopped supporting the population, though, admittedly, it’s a little more far-fetched. They believe that because of the lack of predators on the island and the over-abundance of food, rats hiding in the island’s early settlers’ canoes prevented regrowth and harmed the ecosystem of the island by chewing on all of the new plants. When the island turned barren, the islanders probably just moved away to more prosperous conditions. Another story goes that a feud between two warring tribes may have caused the islanders to wipe each other out. 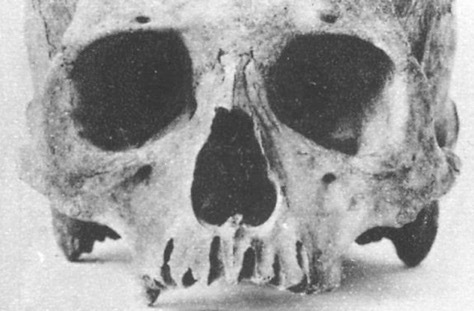 Rupert Ivan Murrill confirms in his Cranial and Postcranial Skeletal Remains from Easter Island that the people who lived there had long, narrow skulls, lending forensic evidence to the theory that there were, in fact, some people on the island with “long ears” and some with “short ears”. The story goes in Aku-Aku, that the long-eared people laid a trap for the short-eared people living on the island. One long-eared man told his short-eared wife their plans to murder the short-ears by tricking them into the trap and burning them alive. The short-eared woman told everyone else, and war broke out. Supposedly only one long-eared person survived. Most of the stories and theories surrounding Easter Island are pretty far-fetched. Some have more evidence than others, but all have to be taken with a grain of salt. There simply isn’t enough evidence to tell one way or another why the heads were carved, or what happened to the civilization that made them. 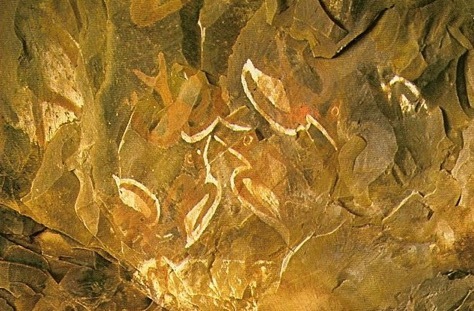 It’s a mystery that will continue to fascinate archaeologists and researchers for years to come.